President Trump’s plan to rollback Obama-era fuel economy targets is set to be unveiled this week, and if a new report from Bloomberg is accurate, that’ll include a revocation of California’s authority to set its own auto emission standards. For automakers, it’s their worst fear come alive. Car companies have been anxiously awaiting the proposal because, if Trump moves ahead with revoking California’s authority to set emissions, the state will push back again and automakers could wind up having to make cars to fit two different standards. A court battle could take years to play out, leaving automakers in the lurch with California’s standards in place during the litigation and the rolled back goals set under Trump’s plan. Twelve states and the District of Columbia follow California’s standards, comprising 40 percent of the car buying public. And now, based on Bloomberg’s reporting, that’s exactly what the Trump administration wants to do. The Trump administration will seek to revoke California’s authority to regulate automobile emissions—including its mandate for electric car sales—in a proposed revision of Obama-era standards, according to three people familiar with the plan. The proposal is coupled with a plan to cap federal fuel economy requirements at levels set for 2020, at 35 mpg, instead of letting them continue to rise to standards set for 2026, at more than 50 mpg. The Environmental Protection Agency’s plan will call for revoking a waiver granted to California under the Clean Air Act, which allows the state to set carbon emissions from tailpipes and require automakers to sell electric vehicles at certain amounts, Bloomberg reported, citing three unnamed people familiar with the plan. The California Air Resources Board, led by Chief Mary Nichols, has proposed to fight any sort of proposal in court. More than a dozen states filed suit to block the proposal in May. If successful, Bloomberg said Trump’s plan would amount to one of his “biggest regulatory rollbacks yet.” While the court system addresses the issue, it’ll likely put automakers in a squishy position, too, with more stringent goals in place for California and the states that follow its standards, and more-relaxed standards everywhere else. 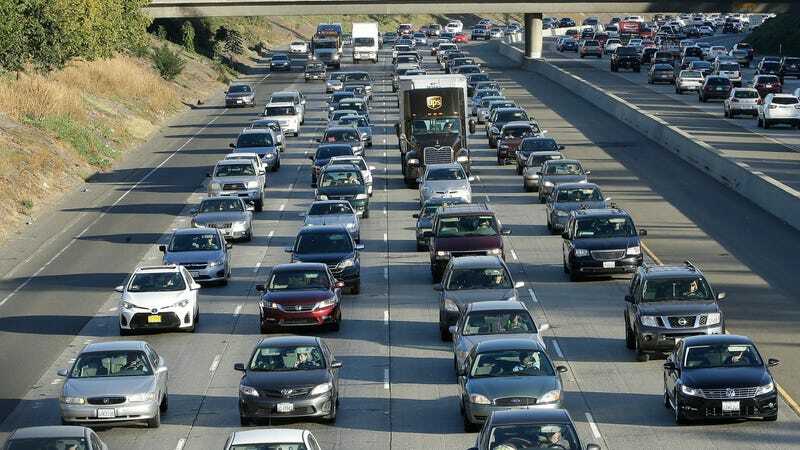 Since Californians buy about 2 million cars a year, to call the state a “significant auto market” is an understatement. Bloomberg says that the EPA and the National Highway Traffic Safety Administration are expected to argue the proposed rollback and revocation of California’s waiver will “reduce traffic fatalities by making it cheaper for drivers to replace older, less-safe cars, while paring sticker prices for new vehicles even if motorists have to spend more for gasoline.” It’s a justification that makes little sense. Once the proposal’s officially introduced, there’ll be a period for the public to weigh in with comments, and a final rule could be implemented by the end of the year, Bloomberg says.